M78 (NGC 2068) is a reflection nebula in the constellation Orion. It was discovered by Pierre M�chain in 1780 and included by Charles Messier in his catalog of comet-like objects that same year. 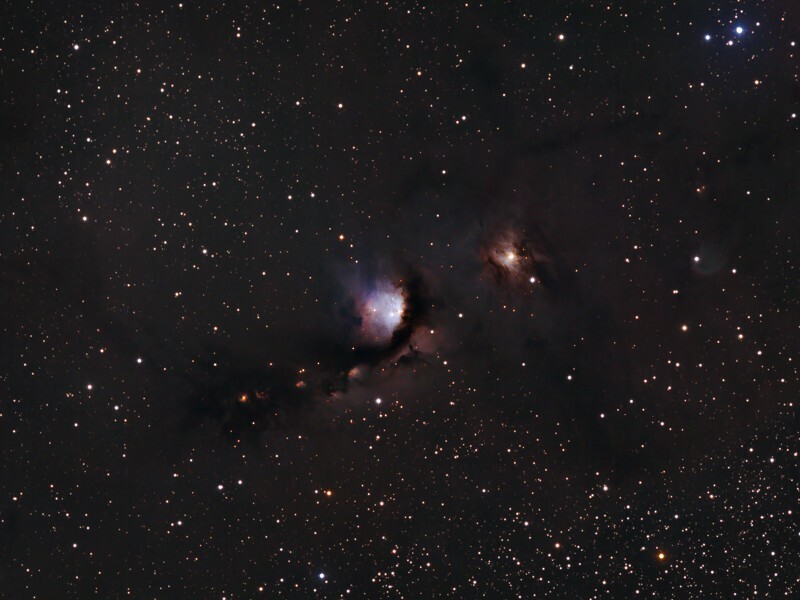 M78 is the brightest diffuse reflection nebula of a group of nebulae that include NGC 2064, NGC 2067 and NGC 2071. 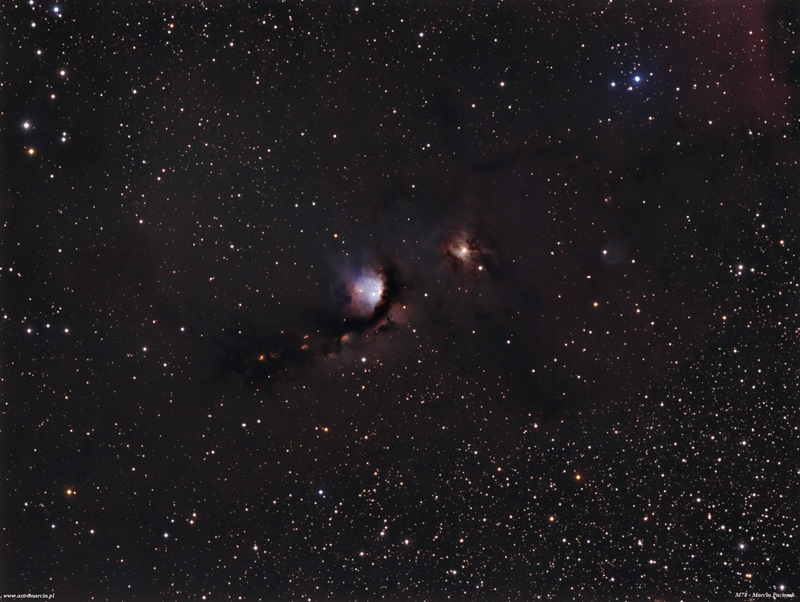 This group belongs to the Orion Molecular Cloud Complex and is about 1,600 light years distant from Earth. 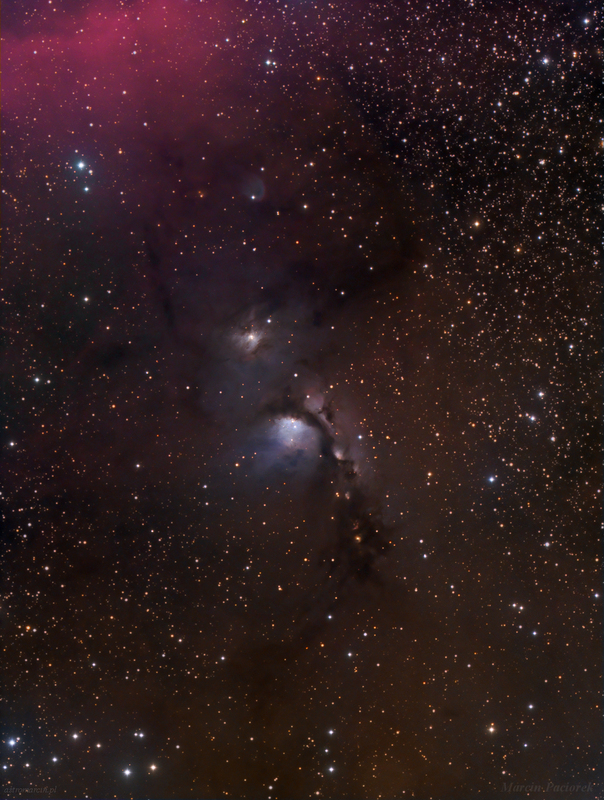 M78 is easily found in small telescopes as a hazy patch and involves two stars of 10th magnitude. 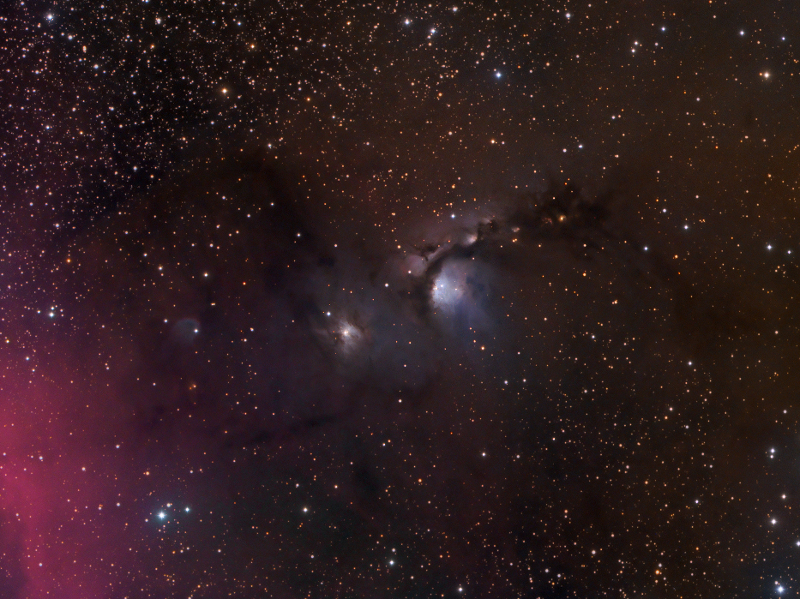 These two stars, HD 38563A and HD 38563B, are responsible for making the cloud of dust in M78 visible by reflecting their light.